I love pancakes. They are cozy and heartwarming. They smell of maple and vanilla. They taste like memories. I found the recipe for these here. They are grain free, refined sugar free and dairy free. 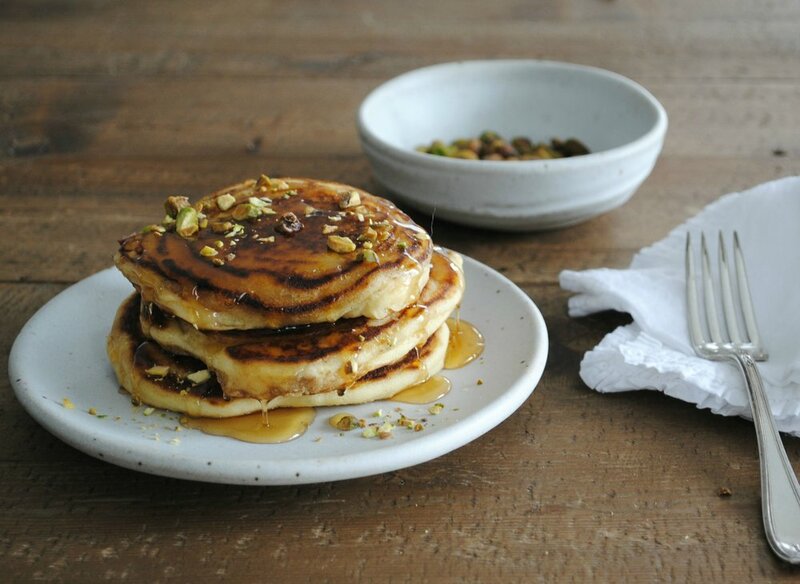 I topped them with honey and pistachios. The bowl and plate are from Gjusta Goods. P.S. I usually double or even triple the recipe and stick the leftover batter in the fridge so I can whip some up the next day.